When you think about treating chronic health conditions, you may focus on therapies to address those diseases. But there are other components to consider when it comes to curing, controlling, and preventing illnesses: diet and nutrition. What and how much you eat and drink can ease or exacerbate your chronic health conditions. If you don’t have a chronic condition, changing your diet may keep you from developing one. Obesity — Eating more calories than you burn can lead you to become overweight or obese. And that can cause a variety of serious health issues. Taking steps to address your diet and stop (or reverse) weight gain can positively affect your health. Diabetes — There are many risk factors for type 2 diabetes, including age, race, and genetics. But 90 percent of individuals with the disease are overweight or obese. Studies have shown that lifestyle changes — including weight loss and increasing your level of activity — can prevent or delay the disease’s development. Cardiovascular diseases — Eating an unbalanced diet that is high in saturated and trans fats and lacking in fruits, vegetables, and polyunsaturated fat can increase your risk of heart disease and strokes. Consuming too much salt can cause high blood pressure, another major cause of cardiovascular diseases. Osteoporosis and bone fractures — As you age, your bones can become more susceptible to fractures. To reduce your risk, you should consume adequate amounts of calcium and vitamin D, and make sure you are getting enough sun exposure and performing muscle- and bone-strengthening exercises. Dental disease — The acids and sugar in many foods and beverages can damage your teeth and gums. Limiting these foods can provide protection, as can getting regular fluoride treatments. If you are at risk for any of these conditions or are dealing with one or more of them, remember that it’s not too late to make a change. 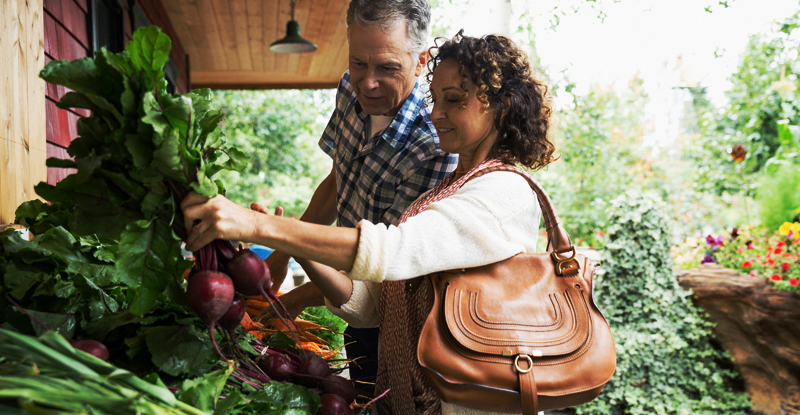 Simple changes to your diet, in conjunction with your physician’s recommended treatment plan, can go a long way toward managing your chronic health conditions. Obesity Society. Your weight and diabetes. www.obesity.org/content/weight-diabetes. Accessed on 2018, March 14.